With the advent of new Wi-Fi frequencies and equipment, innovation and increased bandwidth couplers are needed to bring more services into buildings and general infrastructure. One major requirement to make cell phone operation viable is the Global Positioning System (GPS) for timing and location. GPS signals must be included as part of the RF services. This requirement adds some complexity to the system because of its vulnerability to interference from the system itself or nearby transmitters. Combining the GPS signal with other services will require some unique hardware. The traditional approach is multiple feed lines and or narrow band filters. Multiple feed lines are expensive to install and expensive to maintain, so the fewer the better. Performance data taken over relatively long periods and error rate history produces an obvious conclusion. It would be beneficial to have a wide RF combiner with one feed line. 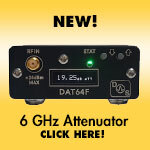 This would allow for simpler base station installation and maintenance. One approach to the problem is the use of two combiners, one located at the base of the tower or equipment room, and the other at the top of the tower with a single feed line between them as shown in Figure 1. The diplexer configuration could be used in this manner where the equipment is inside a building. Figure 1 • Two Combiner Cellular Base. 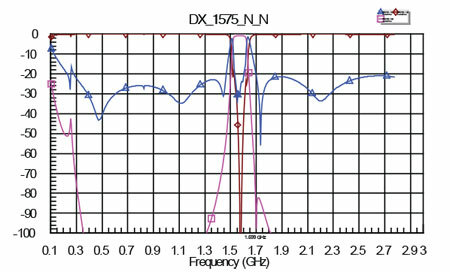 Stopband loss (Port 1-Port 2) 1575.42 MHz +/- 5 MHz: 70 dB Min. 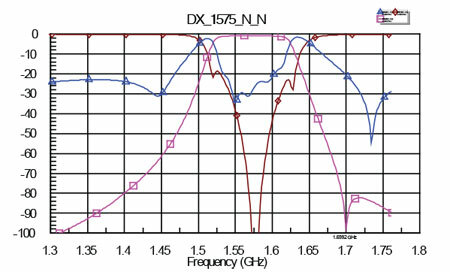 Pass band return loss (Port 1-Port 3) Input/Output 14 DB Max. 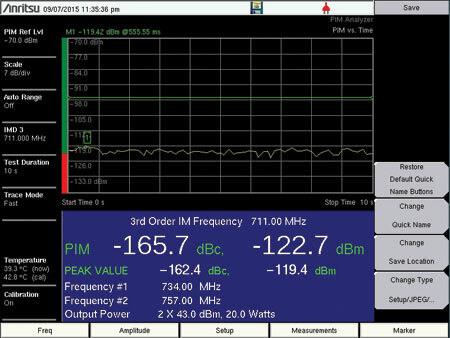 ( 1575.42 MHz +/-10). Maximum DC Current 200 milliamperes. At the common port, broadband RF + GPS + DC will be coupled to the GPS filter Port # 3. Port # 2 is DC blocked and supports RF in two bands – GPS that is notched to -70 dBc 1575.42 +/- 10MHz. DC bias provides power to the GPS preamp. Figure 2 • Multicoupler with Block Diagram. 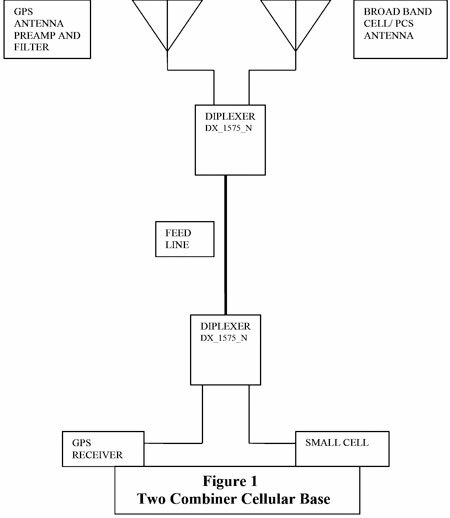 In order to meet the above requirements, a diplexer is employed that incorporates a bandpass filter passing the GPS frequencies and a notch filter that accepts all other frequencies and rejects the GPS frequencies. Also included is a provision for supplying DC power to the remote GPS preamp, a low pass filter that isolates the DC bias from the cell, Personal Communications Service (PCS), and Wi-Fi equipment that would be connected to the broad band port (port 1). A DC block will be used to protect the broad band port under all conditions. As shown in the block diagram (Figure 3), the DC path can only flow from the common port to the GPS port. 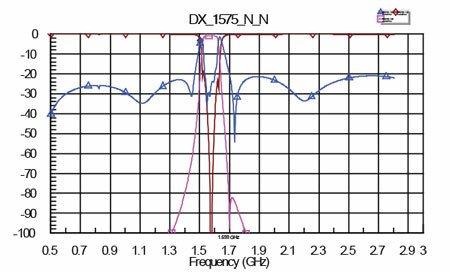 The overall design requirement is low Passive InterModulation (PIM) (-153 DBC). 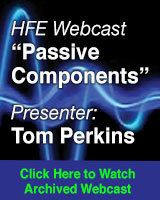 PIM, by definition, is a measure of the nonlinearity of passive components. When power is applied to a system or a component, unwanted distortion products are produced that generate interfering signals which can cause dropped calls and limit the number of viable users on any given system. Every effort must be made to insure that the components in the design do not contribute minimally to Passive Intermodulation distortion. Any bimetal components will contribute to this parameter. Connectors, DC blocks, coils, capacitors, and plating can be contributors. Figure 3 • Functional Block Diagram. The multicoupler dimensions, shown in Figure 2, are 10.5 x 6 x 1 5/16 inches. The unit can be rack mounted or pole/tower mounted outdoors. Figure 4 is a simulation of the circuit loss of the diplexer from the common port to port #2 and port #3. Figure 4 • Diplexer Loss Simulation. Figure 5 is a simulated plot using the same ports as Figure 4 only with a wider sweep. Note the path provided by the low pass bias tee. Figure 5 • Diplexer Loss Simulation (Wide Sweep). 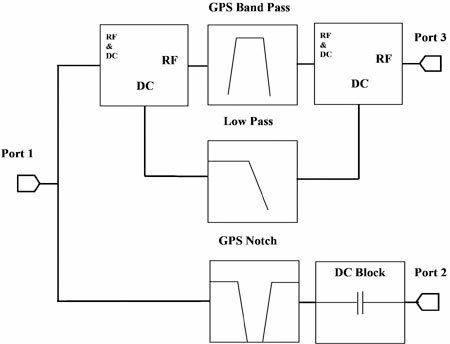 Figure 6 is a plot of a narrow sweep highlighting the pass band and stop band of the GPS band pass filter as well as the GPS notch filter. Figure 6 • Narrow Sweep Highlighting Pass Band and Stop Band. The plots indicate a wide band that opens up the possibility of passive intermod distortion. Care must be taken to insure that all materials used in the construction conform. Figure 7 is a plot of Passive Intermodulation Performance of the hardware. Figure 7 • Passive Intermod Performance. Cellular base station microwave electronics can be significantly simplified using two combiners, one located at the base of a tower, and the other topside near the antenna with a single feed line between them. This approach saves size, weight and power (SWAP) as well as reducing prime equipment and enclosure costs. 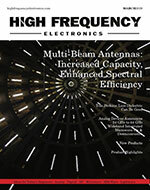 Wayne Barbely has 54 years of experience in the field of RF and microwave filters. He formerly owned and served as CEO of Salisbury Engineering in Delmar, Delaware. He operated the company from 1982 to 2004 and was responsible for the design and manufacturing of RF and microwave filters. Wayne started his career with NASA in 1962 and also received training from The University of Virginia. 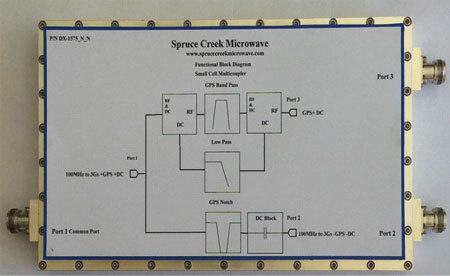 Mr. Barbely currently owns Spruce Creek Microwave in Port Orange, Florida where he manages design and sales. Wayne can be reached by email at: rwbarbely@reagan.com.